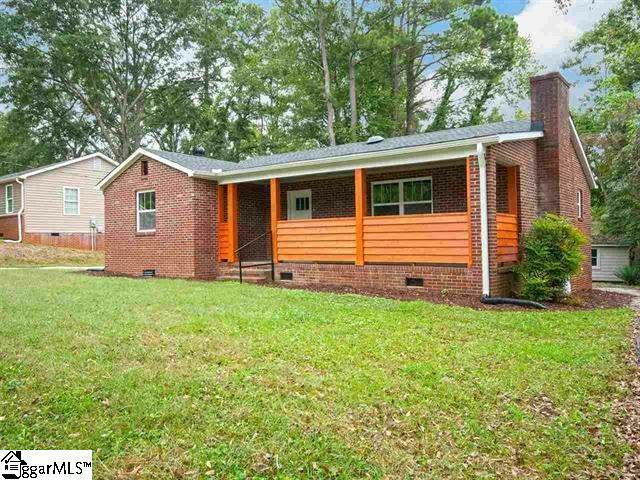 Book an appointment to see this amazing all brick ranch home. This 3 bedroom 2 1/2 bath ranch is a homeowners dream. 422 Boiling Springs has an open floor plan, fire place, ensuite master bathroom, walk in closet and laundry. The beautiful kitchen has stainless steel appliances, granite countertops, with plenty of cabinets and storage. You have to stand in this kitchen to truly appreciate all it has to offer. This home was built for you to relax and unwind or share with family and friends. 422 Boiling Springs is truly a home you would be proud to call your own. The home sits on almost a half acre of land with plenty of room to spread out. The large backyard would be perfect for gardening, pets or children to play safely. This home also boast a wrap around driveway, carport and a storage shed with power. Come see this truly turn key move in ready home today. There is simply nothing to do but move in, relax and enjoy. Listing provided courtesy of Gregg Wright of Realty One Group Freedom.